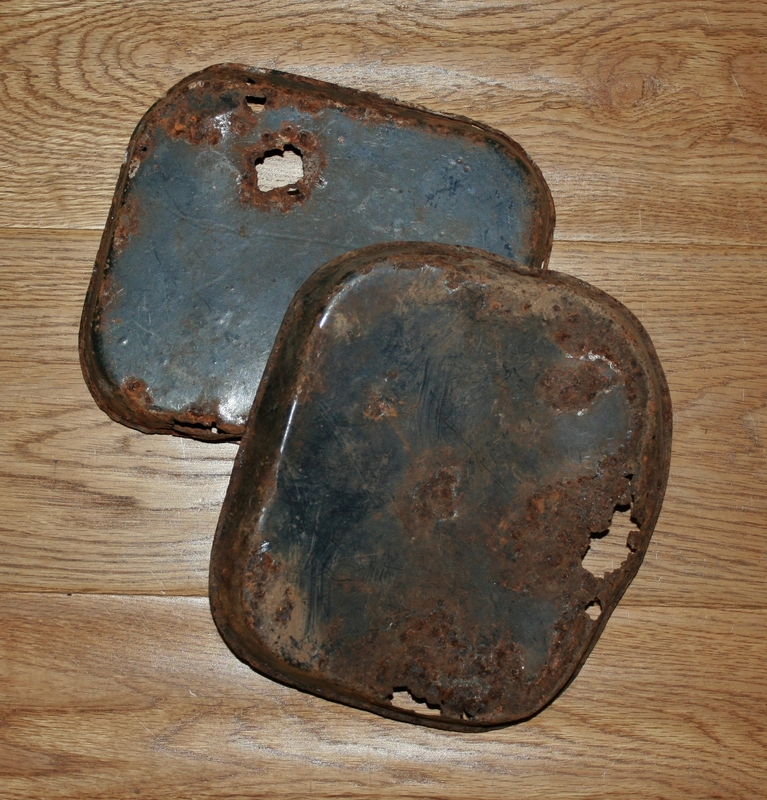 Two Austro-Hungarian Great War mess tin lids, found in Italy, six quid the pair including postage, a few years back. This entry was posted in Weaponry & Relics. Bookmark the permalink. Have you considered preserving them so the rust doesn’t spread? Mr Google shows many museum sites with tips. You or others may have a better idea but for rusted thin steel I use a product called Penetrol. Absolutely. It’s the stories they could tell that made me grab them in the first place. And yes, is the answer to your question. 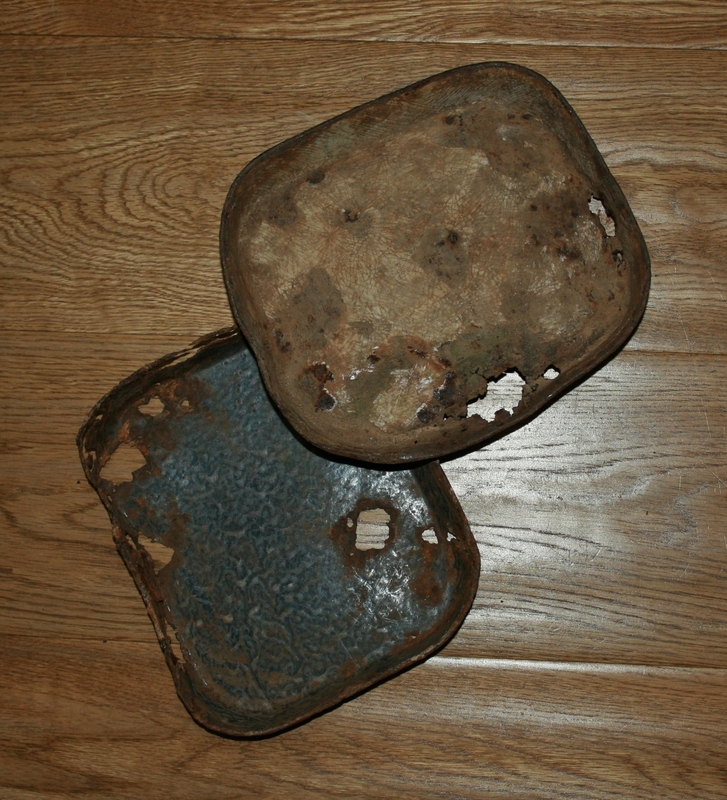 I have a tin of rust remover – it’s just about biting the bullet and giving it a go.